I'm fascinated by the colors and texture in this bright, lovely piece. 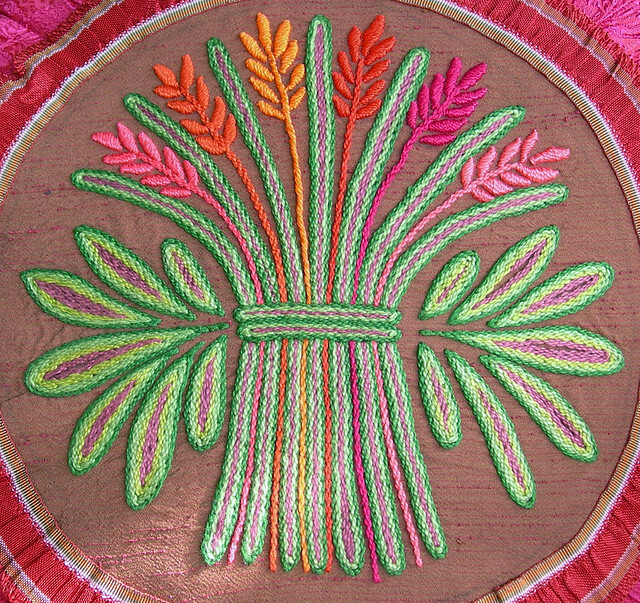 This beautiful design is based on a butter stamp and was stitched by Robyne Melia. Robyne was also sweet enough to include a drawing of the design in her blog post - for more on this gorgeous project, visit her blog. Gorgeous work, Robyne! Laying Tool Review and Giveaway! S is for Stitch winner! Is That a Kitty in Your Pocket?